Last night I was in Cambridge Ma. and I was on a World Book Night panel (as co-author of Good Omens) at the lovely Cambridge Public Library, along with Vanessa Diffenbaugh (who wrote The Language of Flowers) and Lisa Genova (who wrote Still Alice). Here's the full list of books that are being given out in the US today -- I don't think there's a book on the list I wouldn't like to receive. Here's what I think about books. It's very short and is one of the BlackBerry Keep Moving films. And here's also what I think about books. It's the Keynote speech I gave to the London Book Fair's Digital Minds conference. It's long, I'm afraid -- about half an hour. I'm tired and jet-lagged, but it's a speech I'm proud of, and I'm pleased to put the whole thing up here. Watch it when you can. As I said, I'm really proud of it. Neil is thrilled he can claim he’s mammalian. “But the bad news,” he said, “Girl, you’re a dandelion..." Tori Amos. PS: I'm signing my way through 10,000 sheets of paper that will be bound into the pre-signed copies of The Ocean at the End of the Lane. PPS: In late May, the Brattle Theatre here in Cambridge MA is due to host a weekend screening of four films -- I was going to show two of my favorites, Amanda was going to show two of hers. 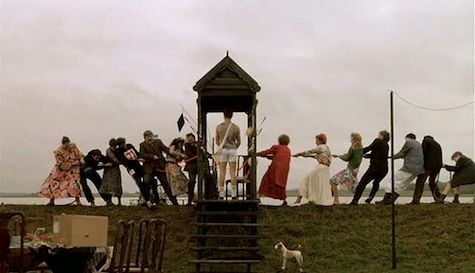 I wanted to show DROWNING BY NUMBERS, a Peter Greenaway film I love that I think you have to see on the big screen to properly enjoy. The Brattle cannot find a 35mm print, and they tell me "The problem with the DVD versions is that they were transferred from a TV source – not original 35mm print – so all of them are of poor quality and in the wrong aspect ratio. There appears to have been a Japanese edition that was correct but it is out-of-print." I do not want to pick another film. Anyone have any ideas where a 35mm print of Drowning By Numbers might be found? UPDATE: We are following a lead. Last year I edited an anthology, as a benefit for 826DC. This year -- in two weeks time -- it will be published. 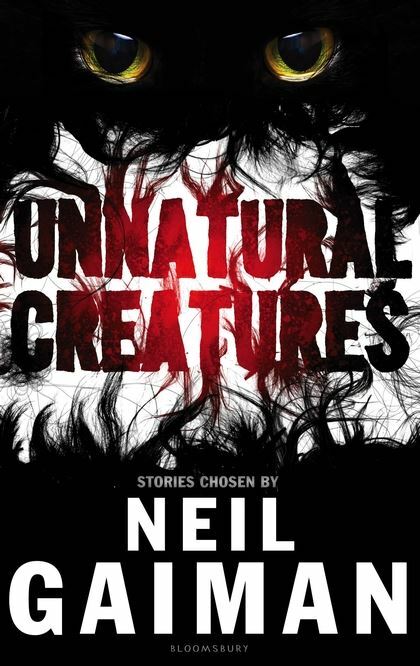 826DC is also known as the Museum of Unnatural History, so a book of unnatural creatures seemed obvious. I gathered together my favourite stories of werewolves and griffins and unicorns and the like. I tried to include authors I'd loved as a child (E. Nesbit, Frank R Stockton) authors I'd loved as a young man (Samuel R. Delany, Gahan Wilson, Diana Wynne Jones) and authors I had only started loving comparatively recently (Nnedi Okorafor, Nalo Hopkinson). And there's an introduction and a story by me in there, too. When the process started getting a bit beyond me I called for help and was assisted in this mad endeavour by Maria Dahvana Headley, who is not only a terrific writer but is a great deal more organised than I am. She gave the book a story (did I mention that all the everything on this was done for free, so that the advance money could go to 826DC?) and she found an illustrator and suggested some more stories and she contacted everyone and got them contracts and got the contracts signed and was overall pretty amazing. We now have US and UK covers... AND a handful of early reviews coming in. From darkly menacing to bizarrely surreal, these 16 fantasy stories featuring mythical and imaginary creatures combine work from such luminaries as Saki, E. Nesbit, and Anthony Boucher, as well as more contemporary writers. Larry Niven’s “The Flight of the Horse” is on the sillier side of the spectrum: a time traveler is sent to the past to retrieve a horse, which he has never seen except in picture books, and he mistakenly returns with a unicorn instead. In Nalo Hopkinson’s “A Smile on the Face,” a self-conscious girl is bullied for her size and pressured into an unwanted sexual encounter, but she finds inner strength—and an inner fire-breathing monster—thanks to an accidentally swallowed cherry pit from the hamadryad in her front yard. Gaiman’s contribution, “Sunbird,” recounts the adventures of the Epicurean Club members, who, grown bored after tasting every available thing on the planet, enjoy the best (and last) meal of their lives. 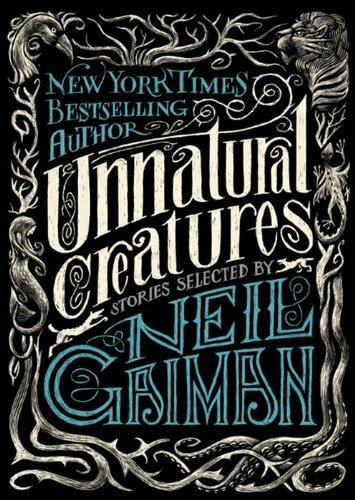 In true Gaiman fashion, these stories are macabre, subversive, and just a little bit sinister. His fans will eat this up—ravenously. The book will benefit nonprofit 826DC, which fosters student writing skills. Starred reviews, in the journals that publish reviews before books come out, are good. Publishers Weekly just gave THE OCEAN AT THE END OF THE LANE a starred review. It's a bit Spoilery, so I'm going to put a few sections of it white-on-white. Block to read. as someone is willing to bear the cost. From one of the great masters of modern speculative fiction: Gaiman’s first novel for adults since Anansi Boys (2005). An unnamed protagonist and narrator returns to his Sussex roots to attend a funeral. Although his boyhood dwelling no longer stands, at the end of the road lies the Hempstock farm, to which he’s drawn without knowing why. Memories begin to flow. The Hempstocks were an odd family, with 11-year-old Lettie’s claim that their duckpond was an ocean, her mother’s miraculous cooking and her grandmother’s reminiscences of the Big Bang; all three seemed much older than their apparent ages. Forty years ago, the family lodger, a South African opal miner, gambled his fortune away, then committed suicide in the Hempstock farmyard. Something dark, deadly and far distant heard his dying lament and swooped closer. As the past becomes the present, Lettie takes the boy’s hand and confidently sets off through unearthly landscapes to deal with the menace; but he’s only 7 years old, and he makes a mistake... Instead of banishing the predator, he brings it back into the familiar world, where it reappears as his family’s new housekeeper, the demonic Ursula Monkton. Terrified, he tries to flee back to the Hempstocks, but Ursula easily keeps him confined as she cruelly manipulates and torments his parents and sister. Despite his determination and well-developed sense of right and wrong, he’s also a scared little boy drawn into adventures beyond his understanding, forced into terrible mistakes through innocence. Yet, guided by a female wisdom beyond his ability to comprehend, he may one day find redemption. Poignant and heartbreaking, eloquent and frightening, impeccably rendered, it’s a fable that reminds us how our lives are shaped by childhood experiences, what we gain from them and the price we pay. In Gaiman’s first novel for adults since Anansi Boys(2005), the never-named fiftyish narrator is back in his childhood homeland, rural Sussex, England, where he’s just delivered the eulogy at a funeral. With “an hour or so to kill” afterward, he drives about—aimlessly, he thinks—until he’s at the crucible of his consciousness: a farmhouse with a duck pond. There, when he was seven, lived the Hempstocks, a crone, a housewife, and an 11-year-old girl, who said they were grandmother, mother, and daughter. Now, he finds the crone and, eventually, the housewife—the same ones, unchanged—while the girl is still gone, just as she was at the end of the childhood adventure he recalls in a reverie that lasts all afternoon. He remembers how he became the vector for a malign force attempting to invade and waste our world. The three Hempstocks are guardians, from time almost immemorial, situated to block such forces and, should that fail, fight them. 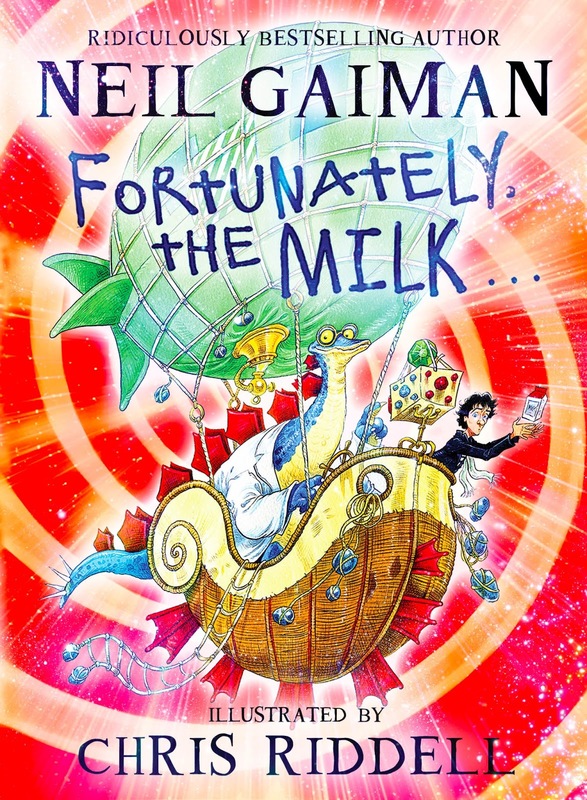 Gaiman mines mythological typology—the three-fold goddess, the water of life (the pond, actually an ocean)—and his own childhood milieu to build the cosmology and the theater of a story he tells more gracefully than any he’s told since Stardust(1999). And don’t worry about that “for adults” designation: it’s a matter of tone. This lovely yarn is good for anyone who can read it. HIGH-DEMAND BACKSTORY: That this is the popular author’s first book for adults in eight years pretty much sums up why this will be in demand. Those are the reviews we've got so far. I think it's probably my best book, which is why I am very nervous about it, which is why I really want to do whatever I can to make sure that as many people as possible read it. The William Morrow press office just sent me the dates and locations of the OCEAN AT THE END OF THE LANE tour. 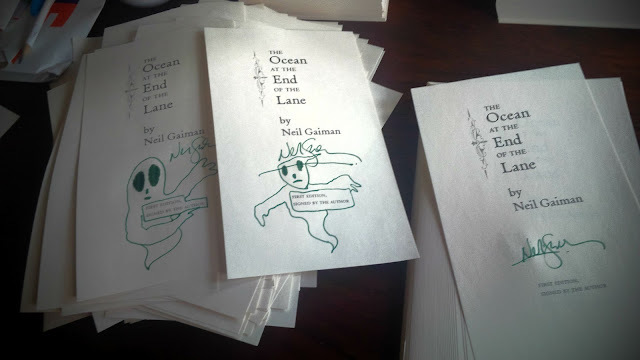 The current plan is that I'll sign any copies of The Ocean at the End of the Lane for you, and one or two other things, depending on lines and numbers. This may change. I'll also plan to sign as much as possible of what the bookstore has of mine when I get to each new shop, including many copies of OCEAN. So you can watch me read and do a Q&A and then take off if you do not want to wait. Many shops will have leftover signed books after the signing, or will take preorders for a book to be signed and sent out. I'll sign all the books that each store needs signed, but there's no guarantee that I'll be able to personalise phone/internet orders. And yes, this will be my last US book-signing tour. And I'm going to try and do as much as possible of it in a bus, mostly so I can get more sleep than I did on the Anansi Boys tour. Tickets: purchase at Joseph-Beth Lexington 800 248 6849 or 859 273 2911.